Through respite care, family caregivers can take a break from their caregiving duties while their loved ones still receive the care they need. This break is necessary for the caregivers to avoid burnout and still have the strength to look after their loved ones for a long period of time. Groton Community Health Care Center can provide respite care to your loved ones while you take a break. 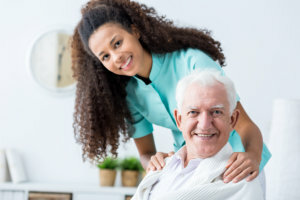 We are committed to providing safe and effective respite care so that you do not have to worry about your loved ones while you make time for yourself. If you need to take a break, you can always entrust the care of your loved one to us. Please call 607-898-5876 for more details.